This is the first volume to appear in the Origins of the Modern State in Europe series, which arises from an important international research program sponsored by the European Science Foundation. The aim of the series, which comprises seven volumes, is to bring together specialists from different countries, who reinterpret from a comparative European perspective different aspects of the formation of the state over the long period from the beginning of the thirteenth to the end of the eighteenth century. One of the main achievements of the research program has been to overcome the long-established historiographical tendency to regard states mainly from the viewpoint of their twentieth-century borders. 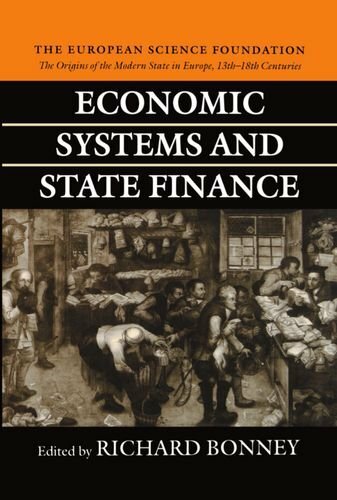 Economic Systems and State Finance offers a new approach to the development of state finance and fiscal systems in Europe. It covers a broad chronological span, beginning with a reassessment of the feudal system and the beginnings of state finance, and continuing with developments within a comparative European framework as far as 1815 when Britain emerged as the only state to have achieved economic hegemony. The conclusions are presented in four thematic chapters on expenditure, revenues, public credit, and the fiscal burden. The text is underpinned by the comprehensive apparatus of 97 figures, drawn from an important research database established during the research program. This book is a significant work of scholarship, which will make a permanent contribution to historical debate.